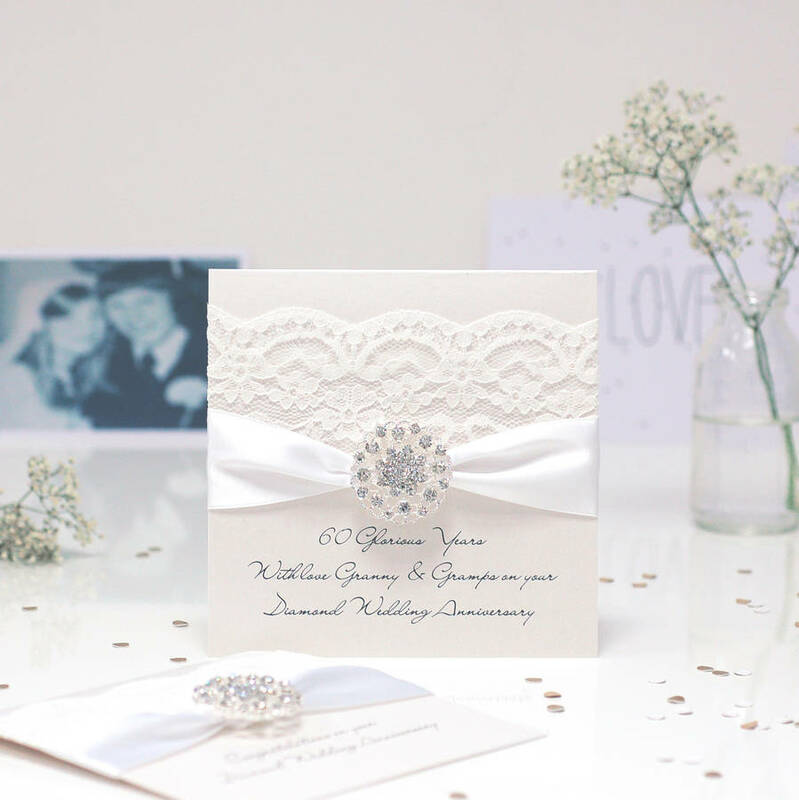 The Opulence Wedding Anniversary card features stunning white satin ribbon with vintage style lace and a sparkly, crystal cluster glistening in the centre. The card is available with personalised printing on both the front and also on the inside of the card. The card is supplied with a matching envelope or can be upgraded to a 2 piece white presentation box that is tissue lined and tied with a matching bow to make a simply beautiful wedding anniversary keepsake. This card is available in 3 sizes. 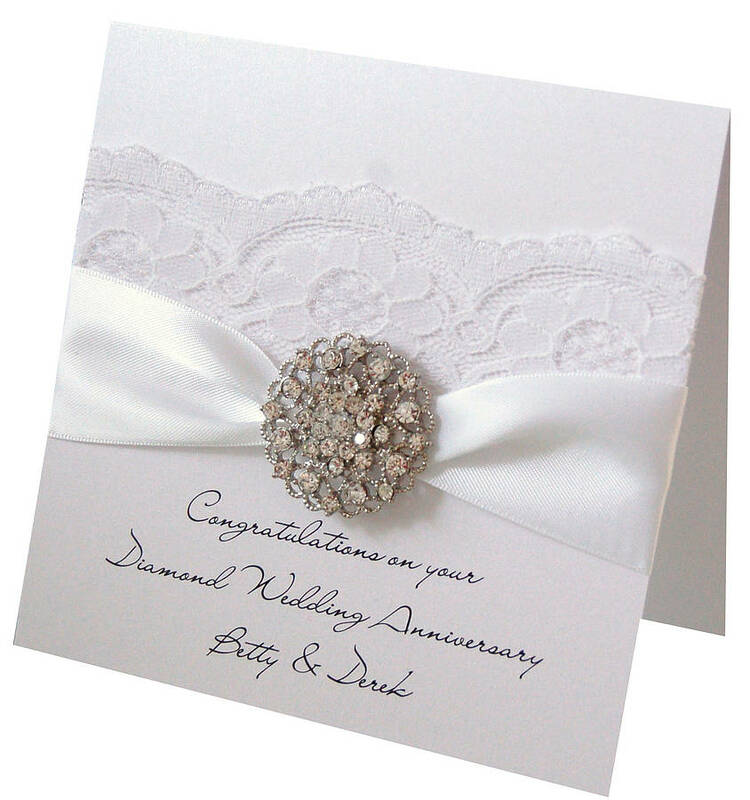 Cards can come in an envelope or a 2 piece presentation box, that is tissue lined and comes with a box bow to match the ribbon on the card. This bow is pre tied and comes with the card, so that you can easily slip this over the card before giving without you having to untie/tie your own bow.